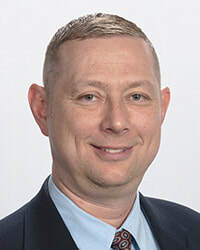 Randal Gibson was raised in Colorado and relocated to the Las Vegas area in 1990 to attend UNLV where he earned a Bachelor’s Degree in Communications in 1994. Randal obtained his real estate sales license in 1992 and has closed over 1,000 residential real estate transactions in his career including listing, managing, and selling over 400 bank owned properties as an REO agent since 2007. Some of Randal’s corporate clients have included Bank of America, Bank of New York Mellon, Countrywide Home Loans, Skyhill REO, and Insource Financial. Randal’s extensive experience in day-to-day operations of First Federal Realty DeSimone’s Residential Sales Division is invaluable. He specializes in residential real estate sales including buyer and seller representation of new and resale properties. Randal’s wife and associate, Gina Gibson, is a native of Las Vegas and has been a licensed agent since 2002. Gina graduated from UNLV in 1999 with a Bachelor’s Degree in Criminal Justice and previously worked in the hospitality industry including group and convention sales for twelve years. Gina’s professional strengths include residential sales and property management. 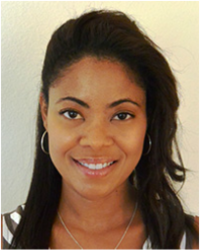 Gina manages accounting and advertising responsibilities and is a vital market research consultant for Team Gibson. Randal and Gina are members of the Association of Realtors, the Multiple Listing Service (MLS), the UNLV Alumni Association, and the Rebel Athletic Fund. They are active in the community and have supported the Salvation Army, Goodwill Southern Nevada, and Toys for Tots Foundation. Randal, Gina, and their two children live in the Mountains Edge community of Las Vegas and can be reached at (702) 334-7570.